Born in Derry, in the north of Ireland, Mairéad Carlin’s life has been immersed in music since her early days, coming from a family whose love of song was passed down to her generation. 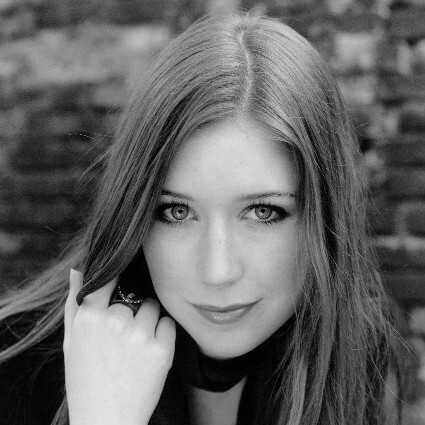 After finishing her studies at Trinity College of Music in London, Mairéad was signed to Decca Records and has recorded her debut album, ‘Songbook’, due for release in 2014. Mairéad has performed for the President of Ireland, celebrated the Irish Anthem for the England-Ireland Rugby International to a TV audience of millions and shared the stage with the likes of Snow Patrol and The Priests at the 2013 BBC TV Gala Concert ‘Sons and Daughters’ to mark Derry’s year as City of Culture- of which she also recorded the City of Culture anthem ‘Let The River Run’. She has toured the UK and Ireland with legendary American singer-songwriter Don McLean, including a sellout concert at the Royal Albert Hall. Also this year, Mairéad made her debut with the National Symphony Orchestra in the National Concert Hall for RTE TV. “A motto I’ve used throughout my career so far”, she says, “is a quote from the award-winning poet Seamus Heaney: ‘Sing yourself to where the singing comes from.’ I think there’s a lot to be said for that”. Éabha began her singing career at 9 years of age, when she was chosen by Veritas to record an album for the children’s book, Beo go Deo. She then began singing in the traditional sean nós style, taught by famous singers such as Máire Ní Choilm, Séamus Mac Mathúna, Moya Brennan, and Íde Mac Mathúna. Éabha went on to win the under-18 All Ireland Oireachtais final at the age of 15, she was reigning Leinster champion from the age of 13 to 17 in the Fleadh Ceoil, and five time Dublin champion in the Fairview Feis Ceoil age 14-18. At the age of 15, Éabha was appproached to audition for Anúna, (the Original Riverdance choir) and in 2005, Éabha became the youngest member to join Anúna. In 2006, she went on tour to the US where the Anúna Christmas Memories DVD was recorded for PBS and reached the top 10 in the Billboard charts that year. She also went on tour to Holland and Germany, as well as singing in venues such as the National Concert Hall, Dublin Castle, Stormont, Farmleigh House and Kilmainham Jail. In 2015, Éabha headlined a sold out solo show in New York City, in aid of Kylemore Abbey. She is currently developing her first solo album which she will be releasing soon. Éabha is a fluent Irish speaker and was brought up singing and speaking Irish at home in Dublin. Éabha is delighted to begin this new journey and she is very proud to be representing her Irish roots with Celtic Woman. In August 2016 Tara became the newest member of the Irish Music Sensation 'Celtic Woman'. She is only the second violinist to ever join the #1 World Music Artists and she will also be first multi instrumentalist as she bring her harp and voice to the group. 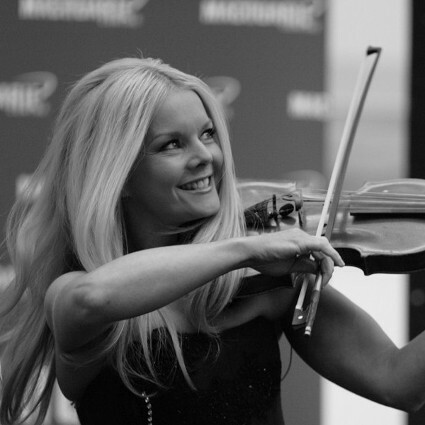 Tara has toured Canada, China, Japan and Holland as both a singer and solo violinist with the vocal group Anúna . She is also the solo violinist on their album ‘Illumination’. In Celtic Woman's 2015 TV special 'Destiny', Tara appears playing the harp. Megan Walsh is 21 years of age and is from Navan, Co. Meath, Ireland. Her ambition has always been to have a career as a professional singer. 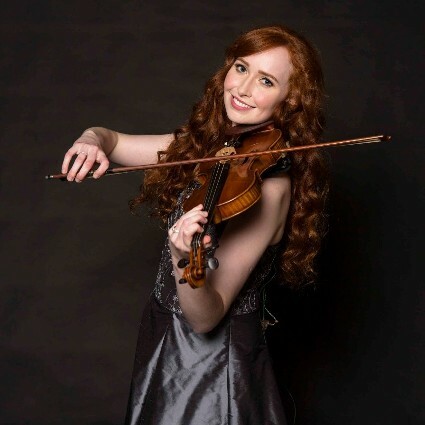 Megan studies at the Royal Academy Of Music in London and previously completed Grade 8 exams (Distinction) with the Royal Irish Academy of Music (Classical, Musical Theatre, and Popular Music). She also attained a Certificate in Acting Performance, First Class Honours, with the Irish Board of Speech and Drama. Megan is a classically trained soprano, but is proficient in many genres. Megan is a seasoned performer, having been on stage from a very young age. 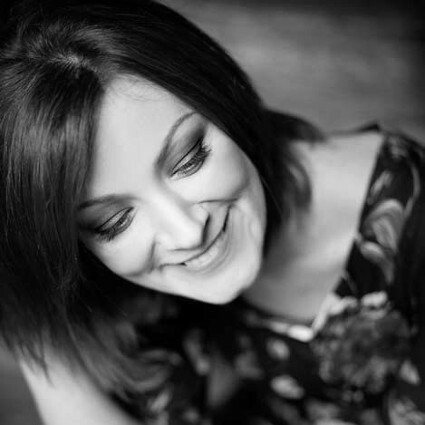 She has performed as a soloist in many prestigious venues, such as Carnegie Hall (New York), The Oddysey (Belfast), The RDS (Dublin), the National Concert Hall (Dublin),The Helix (Dublin), the Bord Gáis Energy Theatre and the National Convention Centre, (Dublin), to name but a few. In 2014, at age 17, Megan won "The Soloist" competition with the "Cross Border Orchestra of Ireland". This journey took her initially to the USA, where she sang in New Jersey, then Connecticut and then on to the stage of the famous Carnegie Hall, New York. On returning to Ireland she performed, as a soloist, with the orchestra for two years, performing in many major venues across the whole Island of Ireland. As a keen participant in the Irish Musical Society arena, Megan has performed many roles, both as lead and ensemble. She played "Cosette" in Les Miserables, "Mary Magdalene" in Jesus Christ Superstar, “Ida” (Honk), “Tracy” (Hairspray), “Sour Kangaroo” (Seussical), “Gabriella” (High School Musical), “Grizabella” (Cats), plus many other shows in supporting roles. 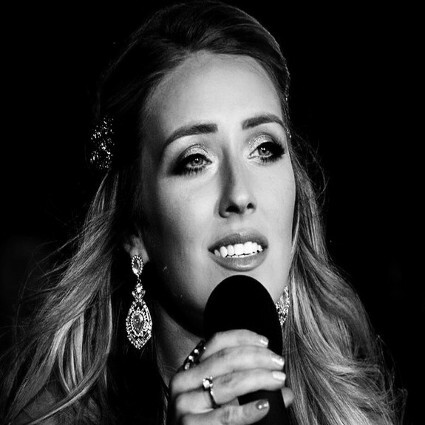 She has done tribute performances for the likes of "Christine" (Phantom of the Opera), "Maria" (West Side Story), "Maria" (The Sound of Music) and many others. 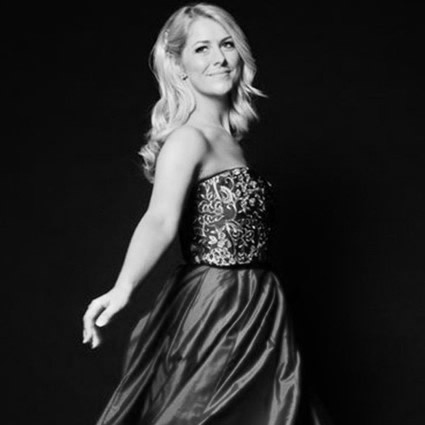 Megan has been involved in many Fund Raising events, the most notable being the Irish Rugby Football Union's Charitable Trust and the 'Lily Mae' charity (Tiny Dancer). She is open to requests for charity work, schedule permitting. Megan was the 2015 holder of the Arklow Challenge Cup and the Kerryman’s Association Lieder Cup (Arklow Music Festival 2015). Born in Dublin, Susan McFadden became a star at the age of 11 in the title role of Annie at the Olympia Theater in Dublin and most recently starred in London’s West End. Susan trained from a young age at the famous Billie Barry Stage School, while performing in theatre and television. Landing her first professional lead role in Annie at the age of 11 she later went on to tour in Ireland and the United States with Irish entertainers such as Tony Kenny, June Rogers and Noel V Ginnity. Other stage credits include the role of “Kathy” in Singin’ in the Rain at the Olympia Theatre in Dublin and Everyman Palace Theatre in Cork; the national tour of Brighton Beach Memoirs at the Andrews Lane Theatre; Daniel O’Donnell’s Rock ‘n’ Roll tour, “Milly” in Seven Brides for Seven Brother in the West End. Television credits include RTE television series’ Bachelors Walk and Relative Strangers, the four-part mini-series and Daniel O’Donnell’s Rock ‘n’ Roll PBS special.